Here's another Truly Rich Club Stock Alert and Update from Bro. Bo Sanchez wherein he mentioned Red means Green. 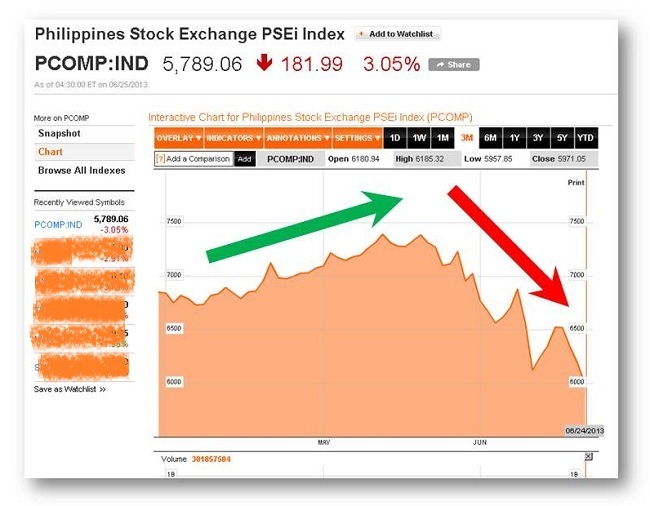 Today the Philippine stock market is currently on it's fifth-day decline. Stock analyst says that the figure indicates that we're now entering the bear territory. We at the Truly Rich Club really don't care. Who cares? 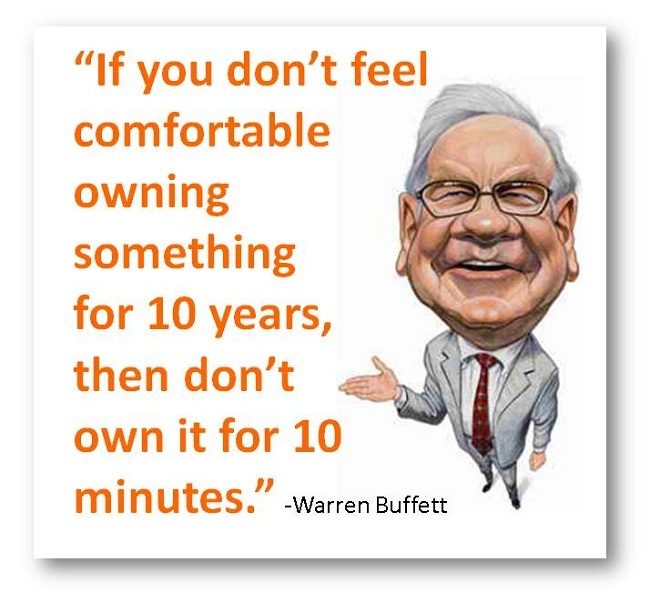 Because we are not short term investor nor a trader. If this bullish trend will continue up to the next 4 to 6 months. That would be great. I believe my mentor... Let's just enjoy the grand SALE while it’s there. Below is the exact message I got from the Truly Rich Club mentor. Please read below. I MUST write to you regularly. My goal? To brainwash you to have a long-term investing mindset. Stocks Alert: Your stocks will remain in the RED for some time. Some people feel depressed whenever they see their stocks going negative,but actually, it is very, very, very good news. Reason: You can keep buying at lower costs EACH MONTH. How long would this “sideways roller coaster” last? Our best guess: RED will continue for 4 to 6 months. That means you have 4 to 6 months of buying cheaper stocks, before thingsstart going up. 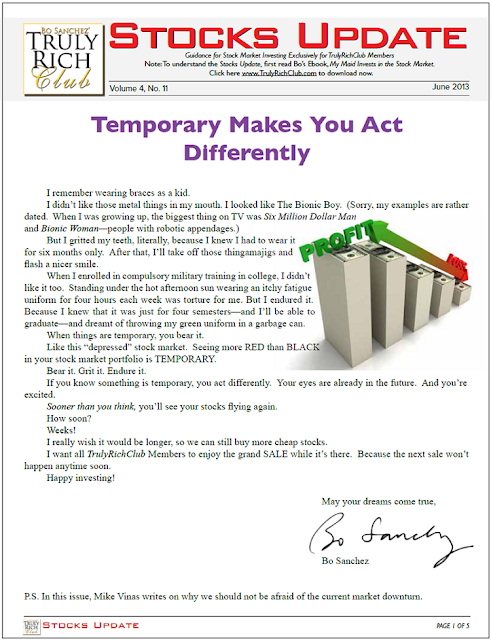 I also included here the first page of the stock market update this June 2013 - Truly Rich Club Stock Update Volume 4, No. 11. On the succeeding pages (not on this blog entry... apology, you need to subscribe in the Truly Rich Club, so you will also received an update in a regular basis.) on the remaining pages, Mike Vinas writes on why we should not be afraid of the current market downturn. He also explained Reason for the Market Movement and the latest SAM (Strategic Averaging Method) update. Mike Viñas is a Corporate Accounts Officer and Relationship Manager at CitisecOnline. He is a Certified Securities Representative and a Certified Investment Solicitor.